If you are interested in becoming an owner there are several options to consider. Outright ownership is preferred by some, whilst others enjoy the fun of sharing a horse with friends or colleagues. We offer various options depending on your budget. All owners are encouraged to be involved and are kept informed of their horses’ progress and race plans. Owners are welcome to visit the yard at any time and mornings on the gallops are followed by breakfast. We also have an annual open day where all the horses are on parade followed by a buffet lunch. We are fortunate to have a yard sponsor, Barcham Trees Plc, which enables all VAT registered owners to claim back their VAT. Barcham Trees logo is displayed on jockey silks, horse paddock sheets and staff clothing. Sponsorship is optional and you could also have your horse sponsored by your own company. You own the horse outright; it runs in your name and your colours. You are responsible for all costs but also don’t have to share the prize money! Racing Partnerships are a very cost effective way of becoming an owner. A partnership is for 2 or more registered owners that wish to own a horse together. Partnerships are likely to comprise family or friends and allow owners to share in the responsibility of the racehorse ownership. For a group of people coming together to own a horse, but who do not have to be sole owners in their own right. The ownership is managed and set up by a syndicator who is responsible for the syndicate. A syndicate often comprises a larger number of people than a Partnership. A great example of this is the Wardington Hopefuls who own Presenting Rio. 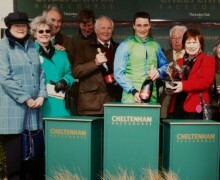 For a group of people coming together to experience the thrill of racehorse ownership. The club manager will be responsible for the Racing Club, but unlike in a Syndicate, members of a Racing Club do not own the racehorses. Instead members are likely to pay a subscription in order to enjoy some of the benefits of racehorse ownership. A great example of this is the Case Racing Partnership, which currently has 3 horses leased to the partnership Sheila Tanist, Wish In A Well, and Un-Named 3 year-old due to arrive in September. Members have enjoyed plenty of success over the years for a relatively small investment, with an annual subscription of £1,200. This is an all-inclusive fee with no hidden extras and includes entry, or discounted entry to the racecourse when your horse is running, yard visits, regular updates, an invitation to our owners open day and a share of prize money that is won. If you would like to find out more about becoming a member of the Case Racing Partnership please feel free to contact me and I will be happy to give you further information. Additionally you may wish to consider the Lease of a horse, which is a great way of getting involved in any of the above ownership structures without the initial outlay of purchasing a horse. You do not own the horse but are responsible for its training costs. 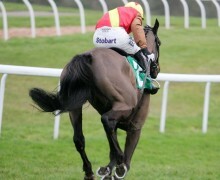 The horse would run in your name and colours and you would receive a percentage of any prize money. 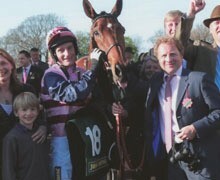 If you would like to come and join in the fun and success of racehorse ownership I would be delighted to hear from you.